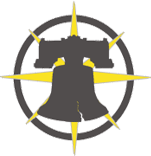 The Pennsylvania Immigration and Citizenship Coalition (PICC) is a diverse coalition of over 50 member organizations and hundreds of individual supporters. Our membership includes community groups, social, health and legal service providers, advocacy organizations, labor unions, and faith communities. 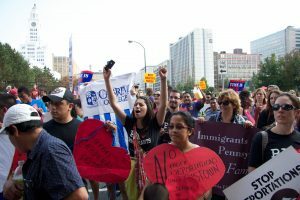 PICC plays a unique role as the only organization in Pennsylvania that brings together organizations and individuals representing different ethnicities, immigration statuses, faiths, and other backgrounds, to work collectively on immigrant rights in Pennsylvania. Our mission is to advance immigrants’ rights and promote immigrants’ full integration into society by advocating with a unified voice for greater public understanding and welcoming public policies throughout Pennsylvania. Collaboration – We are committed to broad-based coalition work and embrace the challenge of finding common ground and building positive working relationships between diverse groups and individuals. Engaging Diversity – We believe that by working together as diverse immigrant groups we increase our collective power and impact. We are committed to addressing diverse communities’ identified needs, reflected within our advocacy, organizing and program work, as well as within PICC’s leadership. Immigrant Leadership – We support and facilitate the development of leadership within immigrant communities to ensure that immigrant communities are at the fore in defining and leading our work. Collective Ownership – Our work moves forward through the time, energy and commitment of our member organizations, community leaders, staff and Board. PICC began meeting as an informal coalition in 1998 as advocates struggled with the impact of immigration reform and welfare reform measures enacted in 1996. This interfaith, interagency coalition responded through advocacy, training, and leadership development. After the tragedies of September 11, 2001, a climate of fear led to the targeting of many innocent immigrants. The Immigration and Naturalization Service was dramatically reorganized into three separate agencies under the new Department of Homeland Security. The United States refugee program decreased the number of refugees that it accepted, causing several programs that work with refugees to downsize or shut their doors. PICC responded by stepping up advocacy for efforts and working to build a broader statewide coalition. We continue to work to expand our geographic scope.